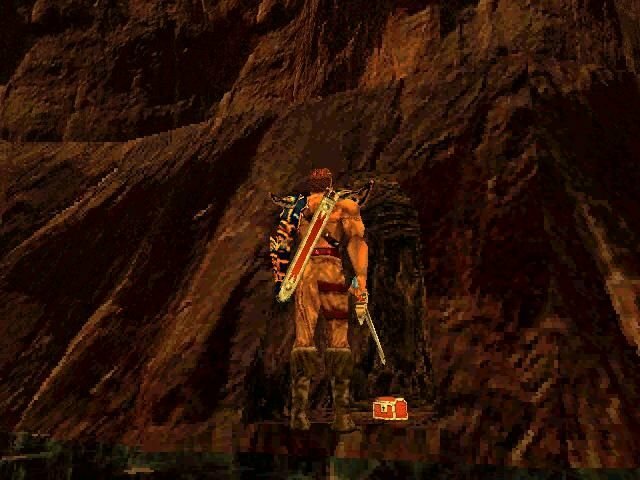 Asghan: The Dragon Slayer definitely has to be one of the worst Tomb Raider clones of the 1990s. It boasts to have been “Inspired by the works of the great J.R.R. 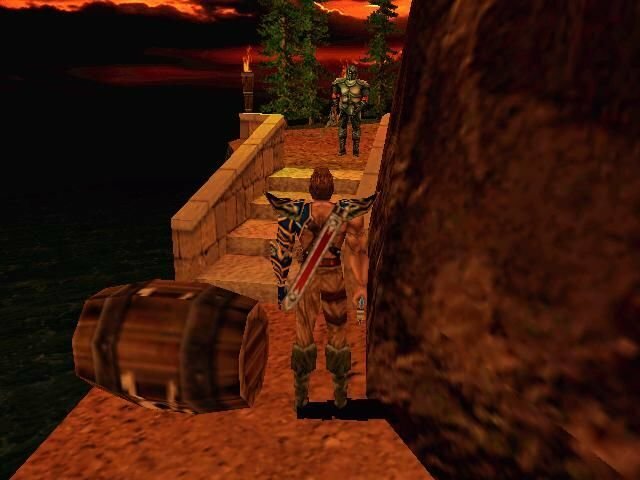 Tolkien” (the name Silmarils was directly lifted from his books), but in reality it feels like any generic fantasy world most of the time, and a boring one at that, with simple puzzle elements and an unpardonably designed control scheme. 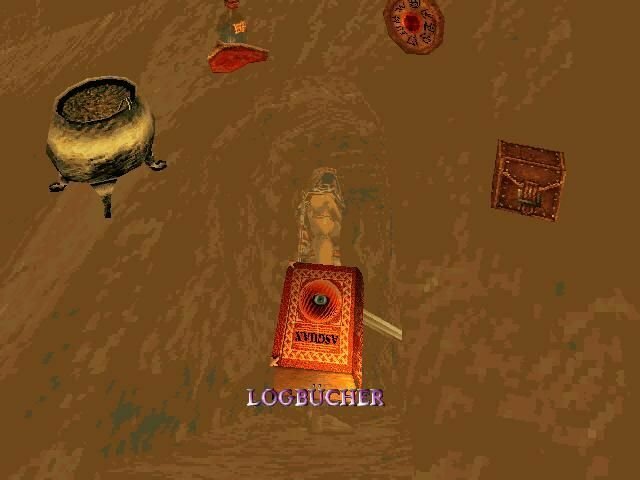 Upon starting the game you are presented with an options screen that was copied from Tomb Raider (which was actually first used in Alone in the Dark), with spinning 3d objects that symbolize various menu options. Things improve very little when actually playing. 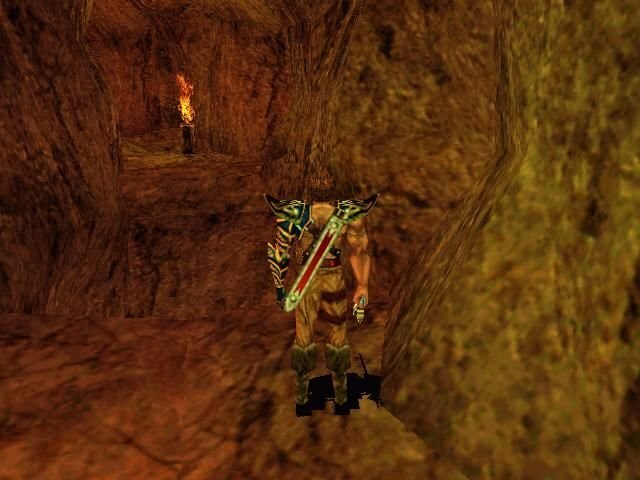 The engine suffers from horrible clipping issues, with arms and weapons constantly going through walls. The animations are terribly clunky, or non-existent. Whenever you kill someone, they disappear in a puff of ugly smoke. Textures are mostly terrible, though some are of sound quality. 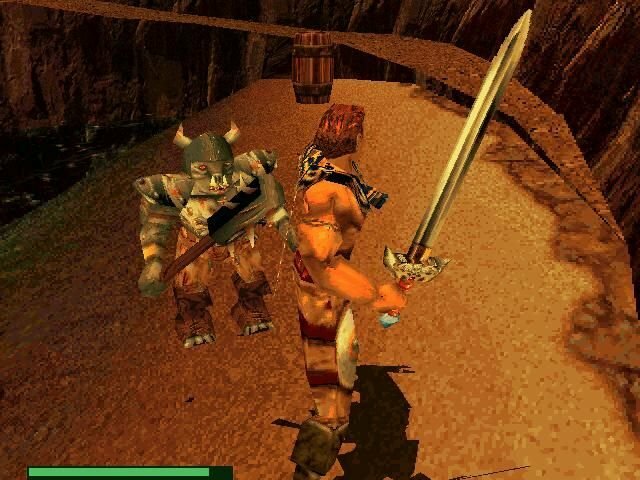 The game proper is a tired mix of level pulling and enemy bashing, which wouldn’t be a terrible combination had the action been even mildly fun. In the first dungeon alone there was somewhere approaching 40 lever puzzles. 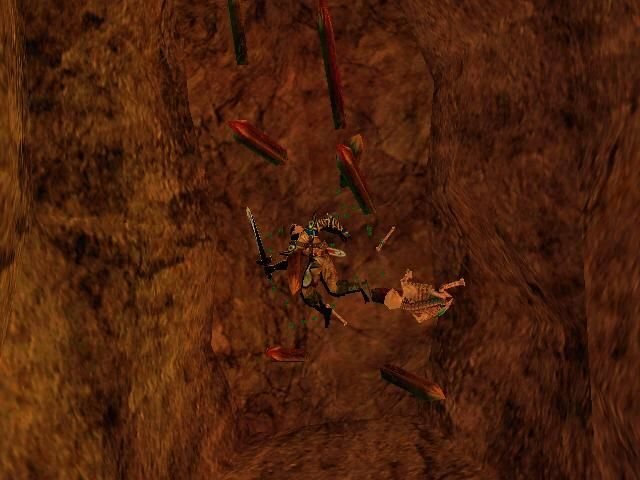 These puzzles weren’t particularly fun in the original Tomb Raider, and they certainly aren’t fun here. 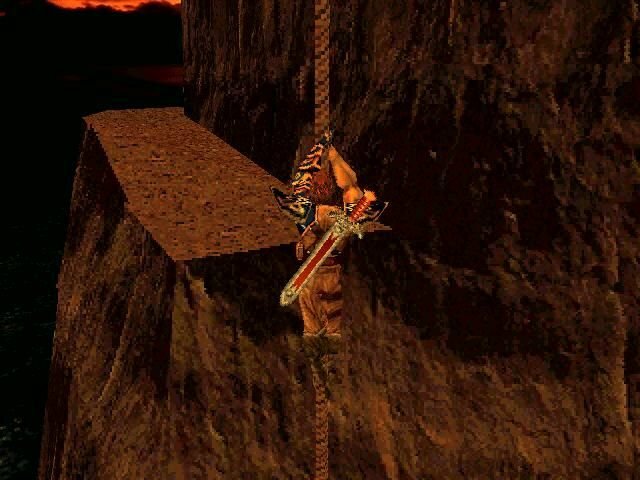 The other predominant puzzle type is jumping over and around various obstacles or traps. What makes it so difficult isn’t that you need skill or timing, its that the jumping interface is so awkward that its a challenge to even do the simplest things. The controls are uniformly bad. It is keyboard only, with the mouse used to adjust camera angles, and there’s no way to change the key settings. 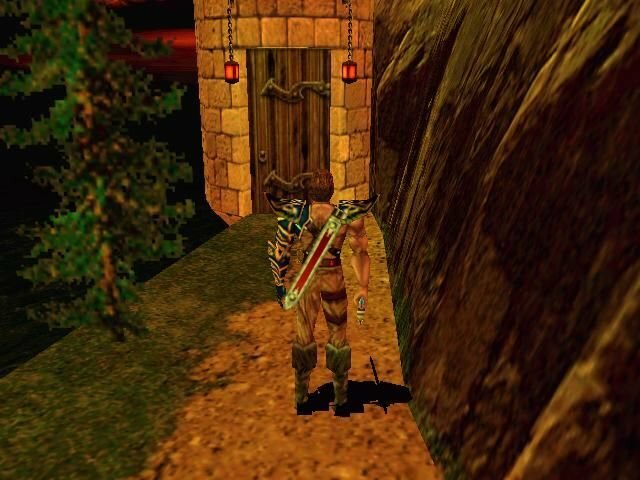 Although marketed as a 1st/3rd person game, Asghan is mostly played in third-person view, with an optional first-person camera for aiming arrow shots. The combat is particularly frustrating no matter which camera mode you deploy. 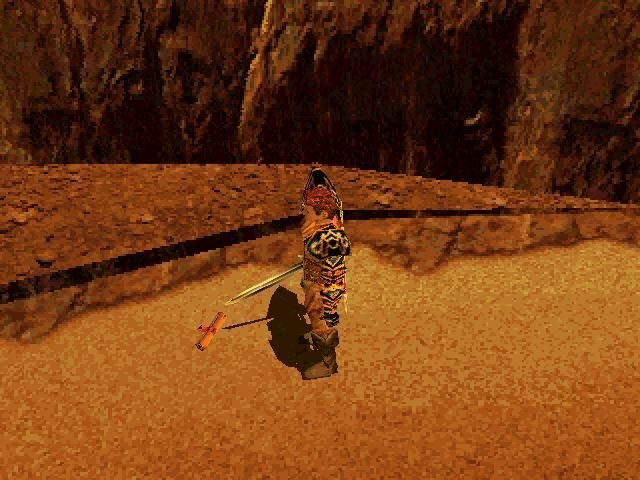 You can only use your sword from the 3rd person view, but during fights the camera has a tendency to shift around until you can’t see anything. 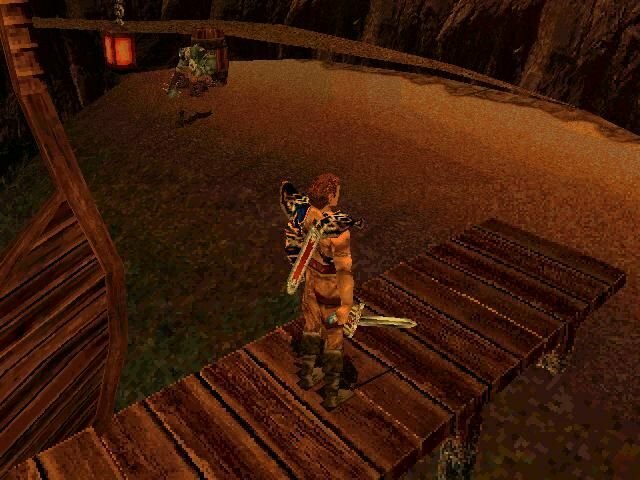 Bugs, bad design, craptastic controls, average sound and graphics all combine to make what could be the worst Tomb Raider / Die By The Sword clone ever made. There’s little originality and even less fun to be had here, and the only reason one might hypothetically wish to install it is to revel in its awefullness.